Cate: Please welcome Margaret Blake. Margaret, will you please share a short bio with us? Margaret: I was born in Manchester, England but also lived in the USA. I have written twenty four novels of historical, contemporary and romantic suspense. Cate: Tell us about your latest release and where it's available. Margaret: My latest release is A Fatal Flaw – and is available in e-book and print from www.whiskeycreekpress.com, www.amazon.com and www.fictionwise.com. A Fatal Flaw is set in Cornwall and Florida and tells the story of Cornish girl Kerensa as she tries to solve the secret of her mother’s past. Kerensa is aided and abetted by gorgeous Florida cop Ned Rochester, however she does wonder if she can risk his finding out the truth. Margaret: Sure, here’s an excerpt. Kerensa meets Ned for the first time! Practically leaping out of her chair she realized that someone had been observing her. A tall well-built young man in a denim shirt and jeans was standing by the table. Now why had she not found that particular librarian! Not that the older lady was not helpful but this guy was helpful in all kinds of satisfying ways. Gosh, she was not immune when it came to appreciating a well-toned body and an attractive not quite handsome face. She sat upright. “You have to be joking. You’re Mr. Rochester!” And the thought instantly popped into her head, if you’re Mr. Rochester I am definitely your Jane! Wow, even Mr. Rochester had never looked that good or maybe when he was younger and hanging around with the mother of Adele. “Oh sorry,” she put her hands over her lips to stifle a giggle; this was a library after all. But there he was in the flesh, her dream of romance. Mr Rochester in person. He could carry her away on his charger any day! “You are not going to believe this but I…” Shut up, her sensible mind screamed, you don’t know this guy; he could be a serial killer! At the very least a con artist or bag snatcher. Cautiously she looked down at where her handbag was sitting at her feet; she bent and picked it up, hugging it close to her. Gulp, gulp and then some, Kerensa thought. Not only did he look like he belonged on a poster advertising some wonderful smelling male stuff, his name was Rochester, her favourite hero, and he was a cop. Therefore on the one hand he was a delight to her rather jaded eye, but on the other hand he was trouble with capital T in more ways than one. How to get out of this one Kerensa Mawgan? Margaret: He is a dish, of course that goes without saying, but he is kind and funny. He has a lovely tenderness about him. I like tough guys to have sweetness too. Cate: That is a great combo. :) Tease us with one little thing about your fictional world that makes it different from others. Margaret: My fictional world is based a little on reality. I also try to be very thorough when I am researching my historical novels. I like to write about real places, although I don’t always give them their proper name. I like my romances to have a touch of glamour but again reality too, but it’s fun when money is no object and you can fly wherever you wish and have lovely clothes. In my novel His Other Wife I touch on the reality of a single mother and the problems she has. Also she was an abandoned baby and she carries a lot of baggage in her head, my hero is fairly well off and really helps her realize her own worth. 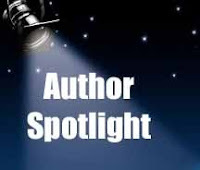 Margaret: I am currently working on a romantic suspense and a contemporary romance. The process is slow because I have to adapt to being a widow. Not a very easy thing to do, especially when you have lost the love of your life. Cate: So sorry to hear of your loss. What inspired you to draft your first story? Margaret: My very first story, goodness that would be when I was about seven! I lived in a very urban environment and had a dream of living in the beautiful countryside. It was about a girl and a horse. The only horses I had ever seen had been in picture books and of course I had read Black Beauty. The horses in my neighbourhood were huge “dray” horses that pulled wagons. Margaret: I try to have. I do like to write in the afternoon, I find if I write in the morning I am thinking about tasks I have to do, better to get the tasks done and then I can concentrate on the really important thing in my life, which is writing. Margaret: What do readers find really satisfying about a novel? Cate: Readers, Margaret Blake is giving away two prizes – one is an e book copy of A Fatal Flaw and the other an ebook of Dangerous Enchantment, a rather spicy historical romance. She'll pick the winners on 2nd December and post the names. Thanks so much for being my guest, Margaret! Best of luck to you. If you like romance and suspense, you can't go wrong with Margaret's books. Welcome Margaret! I neglected to say that I love your cover - it's beautiful. Thanks for inviting me, Cate. Hi John so kind of you to stop by, I know you have a very busy schedule. Satisfying in a novel? Believable and endearing characters like your, Margaret - so that you really care what is happening to them. No need to put me in the draw - I already have your books! Love the excerpt and the references to Mr Rochester! What I find satisfying about a novel is a plot that keeps me on the edge of my seat, a hero who I can fall in love with and a heroine who is worthy of him. I enjoy a good love story with a little bit of suspense!! I love the cover on this book!! Judy is the winner so if you contact me I can make the arrangements.